To help marketers in handling their campaigns more efficiently, StrongView announces a new integrated workflow management tool called StrongView Ally. The company claims that this new tool makes it easier and faster to create, execute, and manage contextual marketing programs. 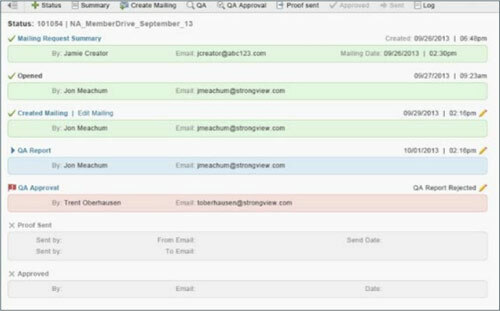 Strongview Alley is designed to enable the efficient management of the full email campaign lifecycle, covering the essential stages, from request creation to assignment, quality assurance, and workflow tracking. Contextual marketing is a type of Internet marketing that focuses on targeted advertising. It serves ads based on user interests, which is determined by recent web browsing habits and the search terms used. Contextual marketing is becoming widely adopted in the online and digital marketing world. For marketers to make the most of it, there’s a need for a tool that enables greater efficiency, relevance, and better control over the management of contextual marketing campaigns. 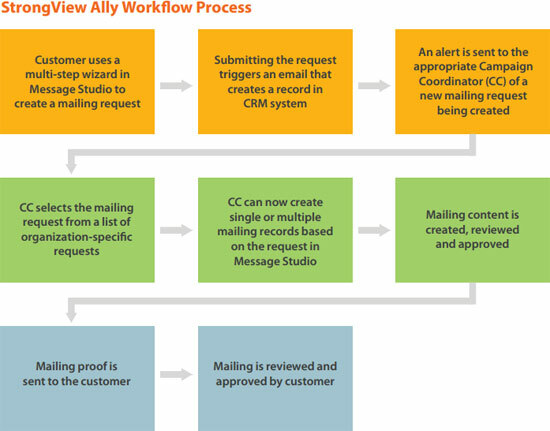 StrongView Ally offers a number of integrated workflow management features that expedite contextual messaging execution. These include the ability to automate workflow routing, approvals and notifications to make campaign turnaround times faster, as well as a customizable quality analysis checklist that adapts to the specific set of businesses processes with which the tool is being used. Additionally, StrongView Ally comes with a wizard-style user interface that presents processes step by step along with an array of controls. This software tool also integrates with the StrongView Message Studio, which, according to StrongView, helps reduce errors and streamlines campaign production.